Thank you so much to the many who have given so far to the Charles Reagan Wilson Graduate Student Support Fund. To date we’ve raised $18,094 from 129 donors. The campaign, which concludes on May 11, is beginning to wind down. Please consider a gift to honor a great professor, and please share the fund with friends. We have $6,906 to go, and with your help, we can get there. Below, a message from Jimmy Thomas on his experience as a student and colleague of Dr. Wilson’s. As many of you know, doing research is central to the work of humanities scholars and social scientists, and despite the increasing amount of material available online today, it is still essential that we go to where the materials are. The Charles Reagan Wilson Grad Student Support Fund helps make this possible. To a large extent, it is through meticulous research that Southern Studies and history graduate students achieve an understanding of the place in which they live and learn and work. Their strategies include, for example, combing through public and private archival collections, conducting oral histories with people who once experienced (or who are perhaps still experiencing) both important events and everyday life, and exploring historical physical spaces. Scholars dig for the smallest shards of information to help tell the larger, often lost story. A handwritten note buried in an archive can provide a “eureka!” moment, providing us with the clarity to understand not only moments in time, but how and why we’ve arrived at who we are as a society today. A conversation with the participant of a cultural movement or traditional folk practice can complicate our understanding of a particular group’s assumed role or experience. Exploration of a physical landscape can provide a distinctive perspective from which to understand an entirely new topic of inquiry. Graduate students come to the Center and the history department with a wide array of interests—from roots music to community development to historical preservation to the myriad moments contained within the southern past. Southern Studies and history faculty work with students to foster a deeper critical and intellectual appreciation of those interests and of the subjects they encounter for the first time in classes. Graduate school challenges students to search out that which lies beneath the surface of every topic, to de-simplify traditional understandings of common beliefs, and to present their findings to a broader audience of scholars, peers, and the wider community. Doing good research is part of that process. But before they hit the road in search of answers to complicated questions, student researchers formulate their ideas in order to define his or her problem. Students come to the Center to learn from some of the most talented and engaged scholars in the fields of sociology, anthropology, southern literature, food studies, documentary studies, and, of course, southern history. On that count, Charles Reagan Wilson is the exemplar of the form. Never content to merely retell the southern past, Charles challenged students to rediscover, recontextualize, and re-center the people, places, and events in southern culture, to create new avenues of understanding not just for themselves but for those who would follow. For Charles, a thesis or dissertation is not simply a means to an end but a contribution to the entire field of southern cultural studies—and to the collective understanding of why southerners do what they do and believe what they believe. Not all questions need immediate answers. The best questions, in fact, often create more questions. That holds true for doing research, and that holds true for intellectual inquiry. Charles’s classroom counsel rarely began with the words, “I think.” Instead, students who have asked important questions of him likely received the sincere and respectful reply, “Well, tell me first: What do you think?” His task was never to simply teach. His task in the classroom was first and foremost to make students think. Where the Center faculty and staff were concerned, Director Wilson led by example. Never one to make demands, he gave so much that it was impossible to not return the courtesy by simply doing good work. I myself am grateful to have had the privilege to call Charles a teacher, a mentor, a colleague, and a friend. 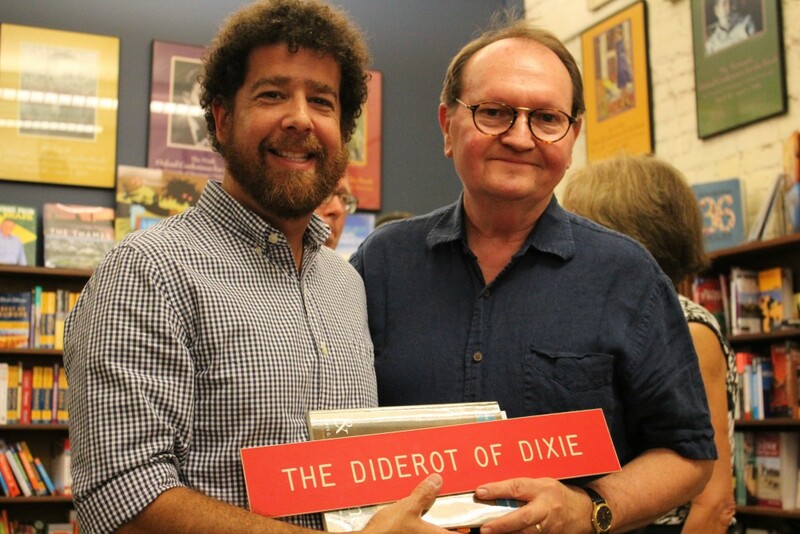 His guidance in the classroom and in our collaboration to produce the twenty-four volumes of The New Encyclopedia of Southern Culture shaped my understanding of the American South in ways that I continue to deeply appreciate today. Few observers of the South have had a greater impact on Southern Studies scholarship—or on the scholars who create it—than Charles Reagan Wilson. Let’s continue to repay the courtesy by supporting the Charles Reagan Wilson Grad Student Support Fund today.